Highlights of the Sky Bet Championship match between Ipswich Town and Fulham. Ipswich's perfect start to their Sky Bet Championship campaign came crashing to an end with a 2-0 defeat by Fulham. It was free-flowing football from Slavisa Jokanovic's side, who unleashed wave after wave of attack in a dominant display. Liverpool loanee Sheyi Ojo looked dangerous and had an early strike deflected wide before forcing Bartosz Bialkowski into the first save of the afternoon as the Polish stopper did well to deny the winger from range. A minute later Bialkowski was indebted to his woodwork as Ryan Fredericks hit the post and just after the half-hour mark, Bialkowski made a great save with his legs to keep out Stefan Johansen. But Fulham's persistence paid off as the hosts' resistance finally came to an end in the 35th minute. 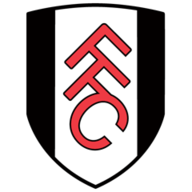 Fredericks went surging down the right and his divine cross found the unmarked Kebano, who duly headed past Bialkowski. Fulham could have been home and dry by the break as Ojo forced Bialkowski into another top stop, before Fonte fired against the frame a minute later. McGoldrick missed a great chance to level five minutes before the break as he was kept out by David Button, with options on either side. 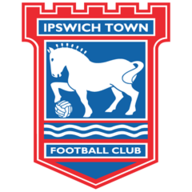 McGoldrick should have done better after driving into the box as he fired straight at Button and Ipswich valiantly tried to battle back into the game, but it just did not happen for them. Ipswich boss Mick McCarthy: "Call the police because there's just been a murder. Sometimes you just have to take your hat off to your opposition. "They were streets ahead of us. They absolutely bashed us up with and without the ball. Sometimes you just can't get near the other team and that was the case." Fulham boss Slavisa Jokanovic: "We didn't start the season like Ipswich did, but there's a huge number of games still in front of us. "I expect we can start to be more positive now. We know we're not at our best level yet and we've made costly mistakes at the beginning of the season. We showed we didn't forget how to play good football. There is space for us to be better."